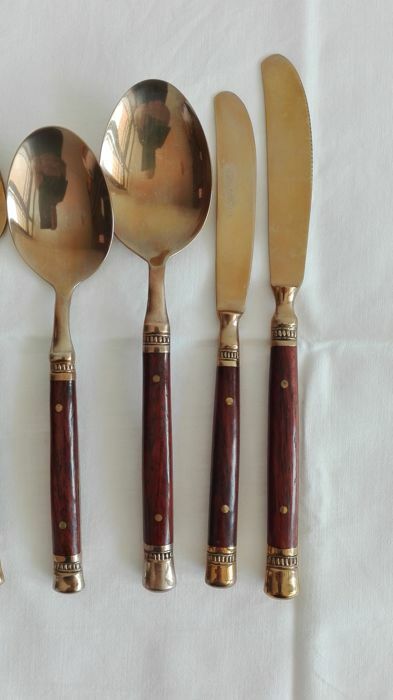 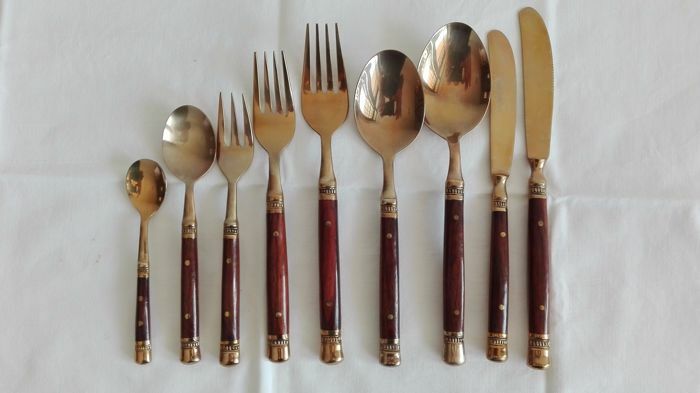 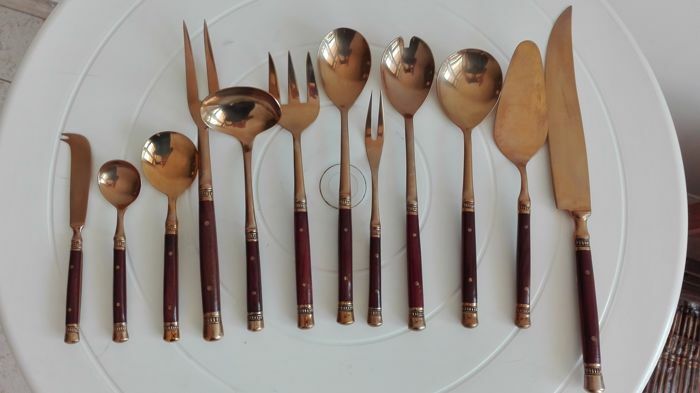 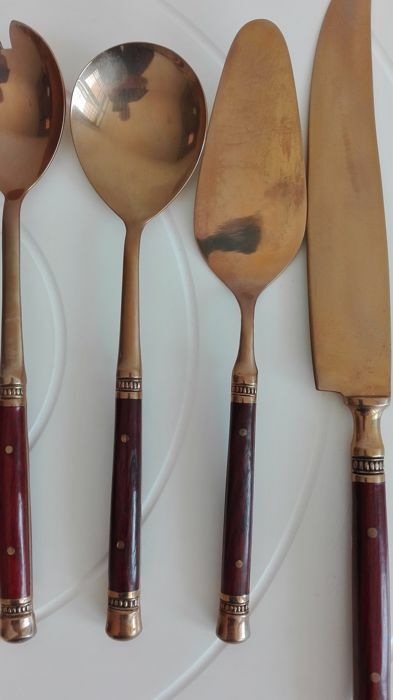 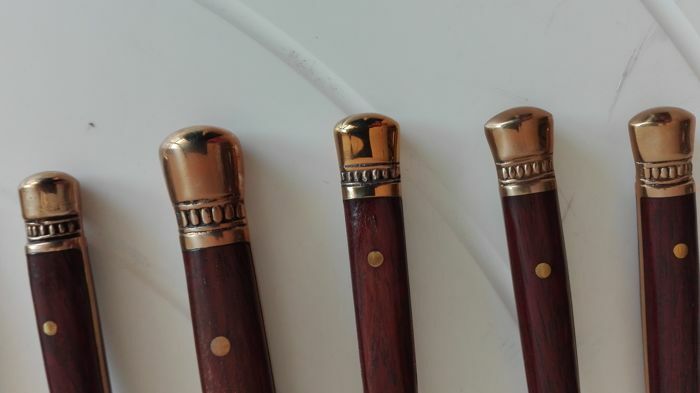 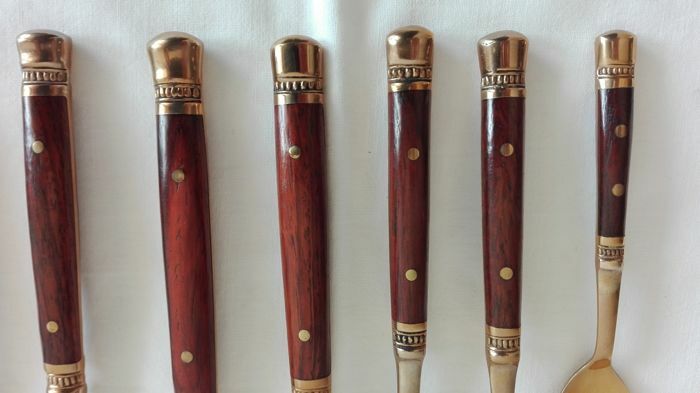 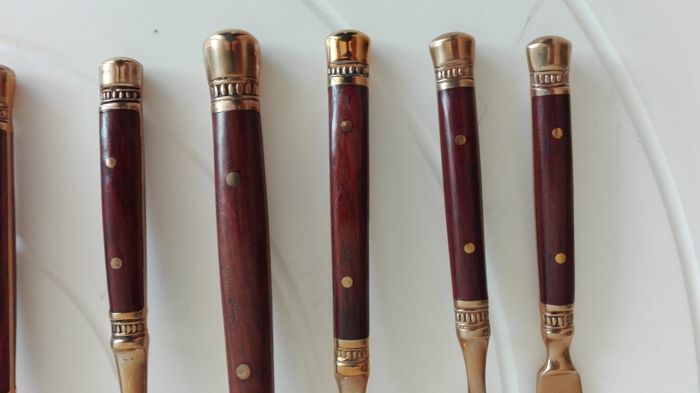 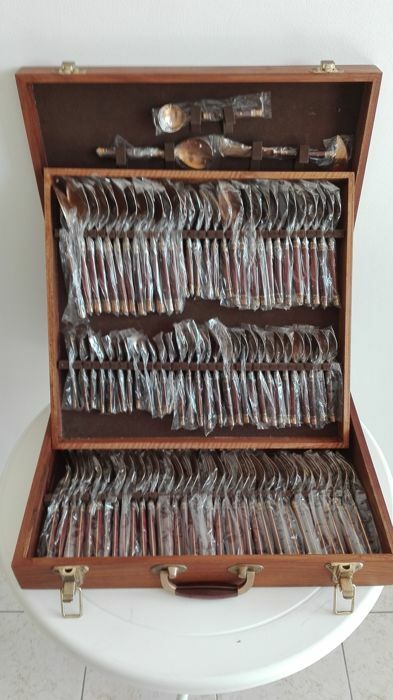 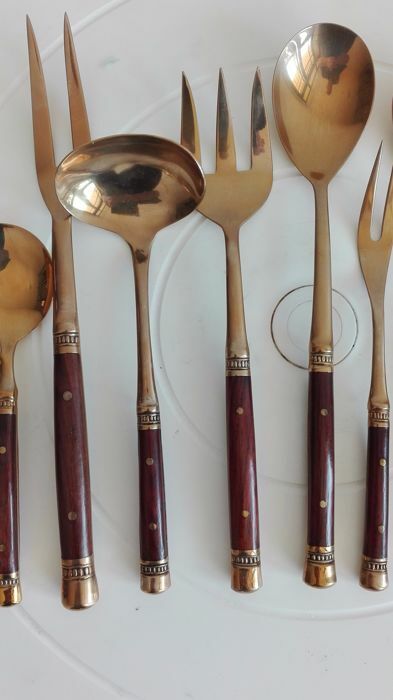 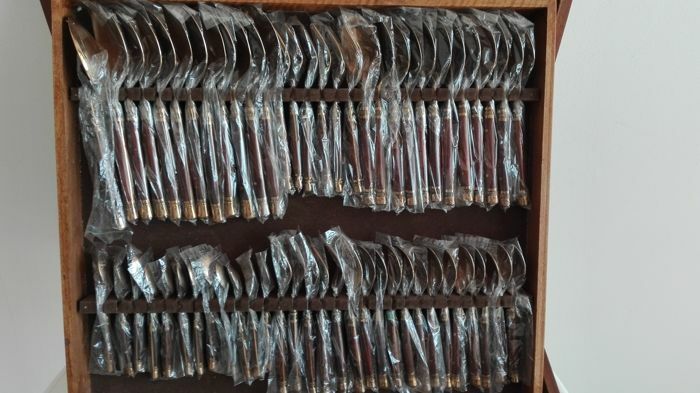 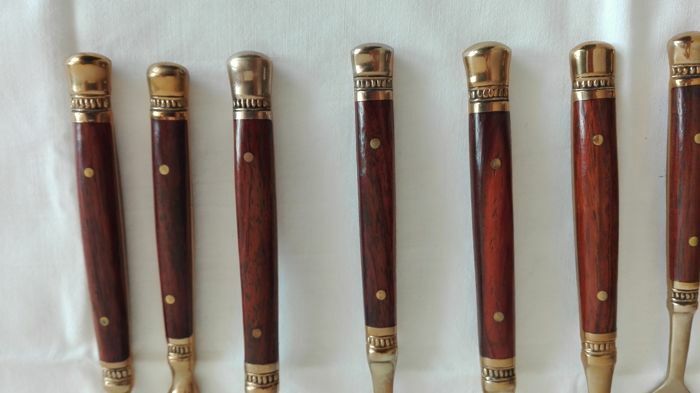 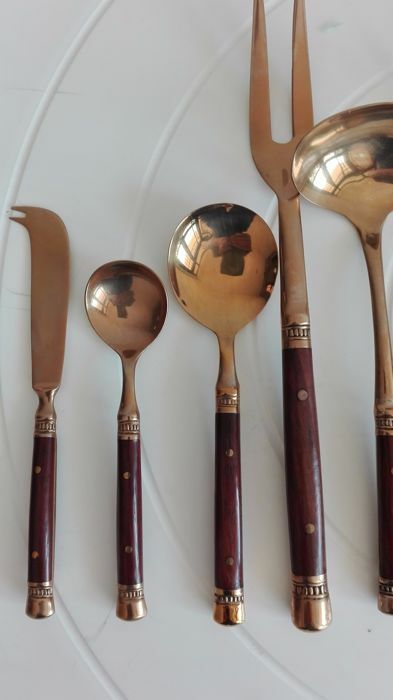 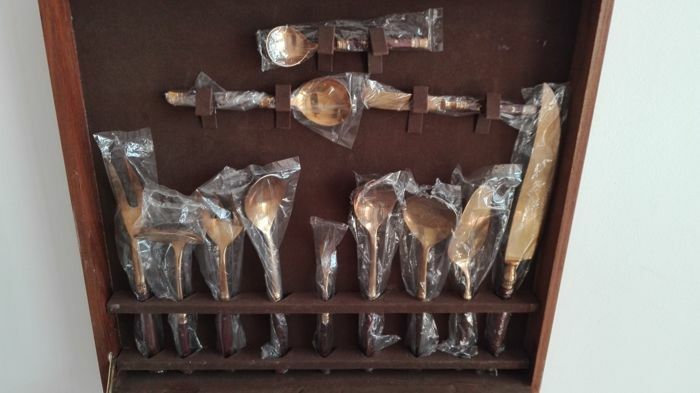 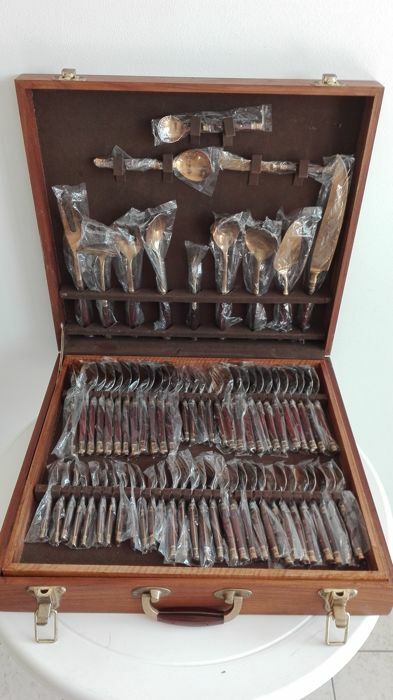 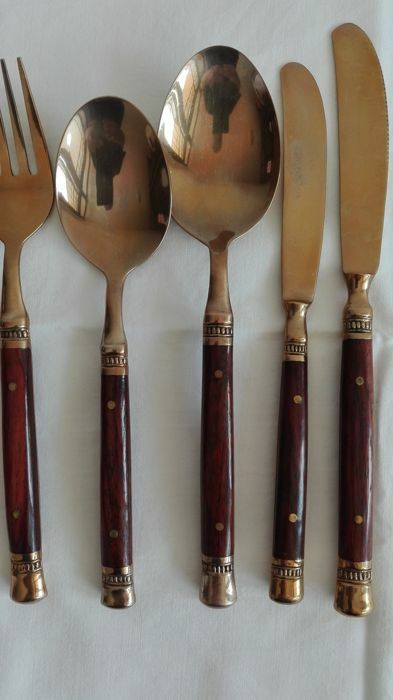 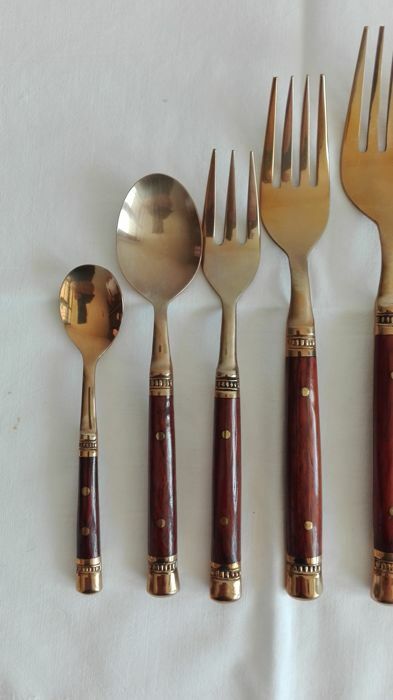 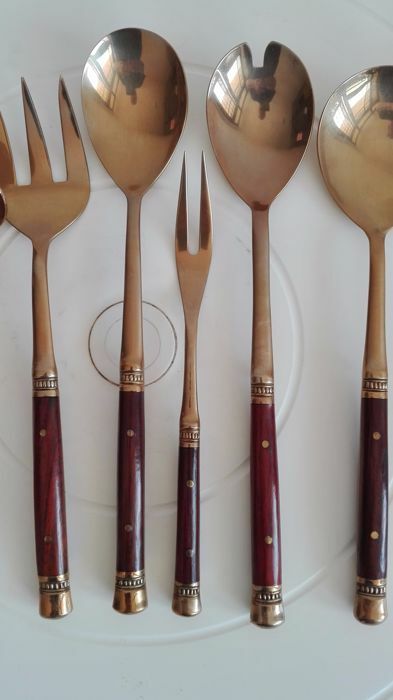 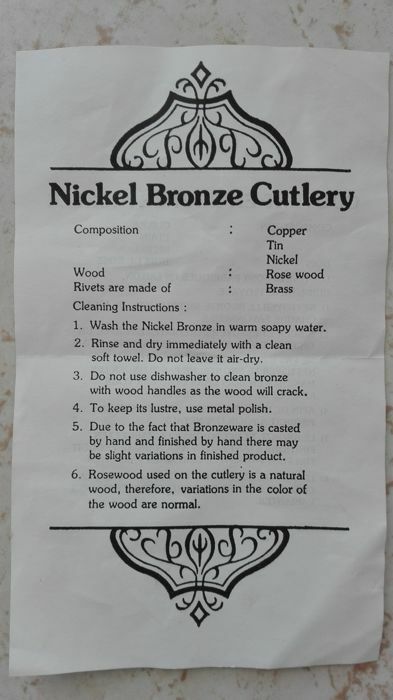 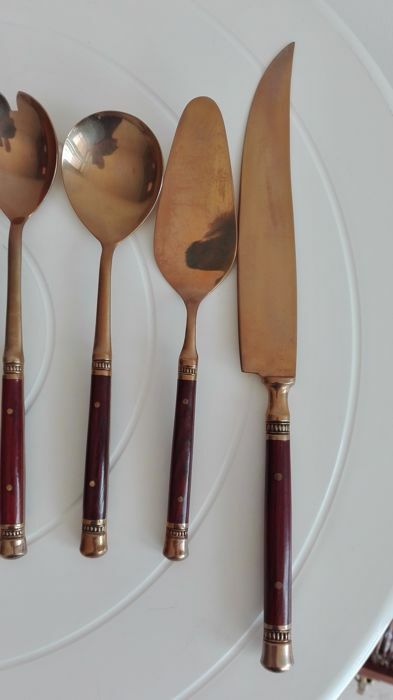 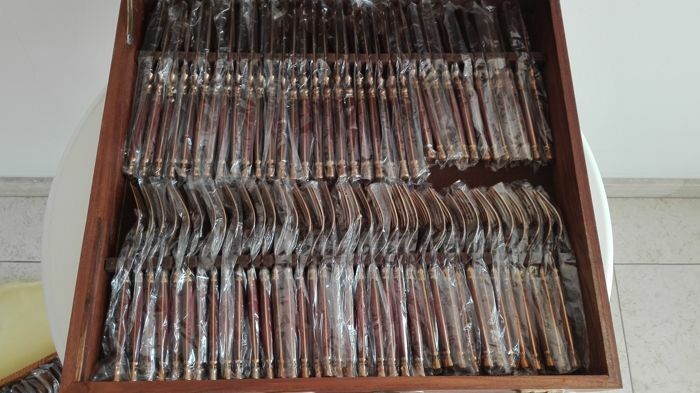 Vintage cutlery set in “Nickel bronze” made in an alloy of Tin-nickel-brass, with brass rivets and rosewood handles, in perfect condition (new, never used). 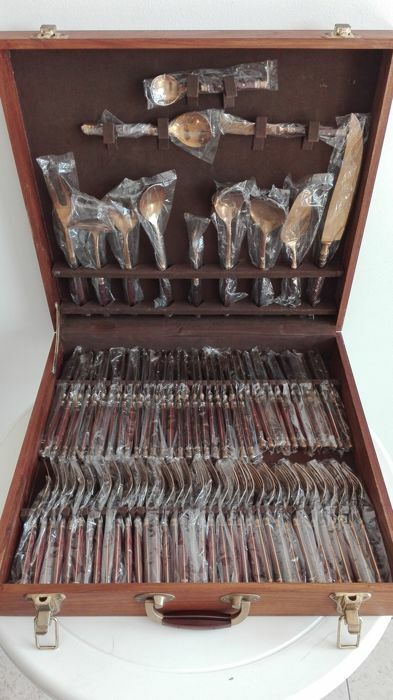 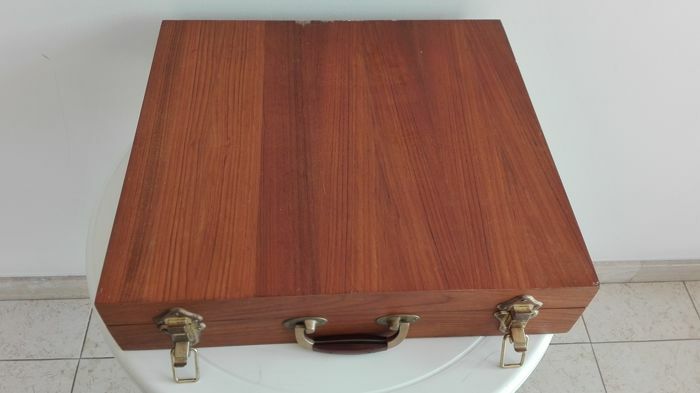 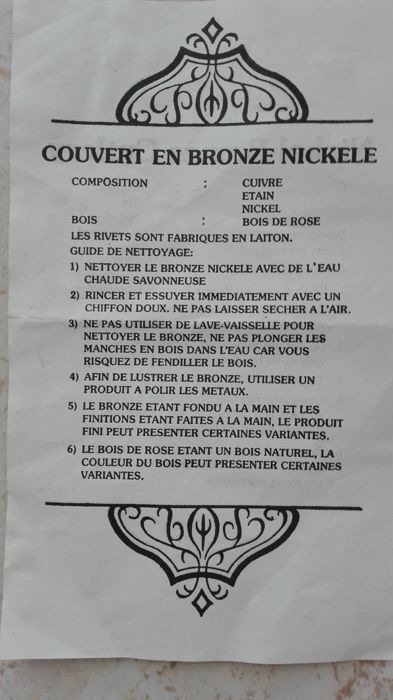 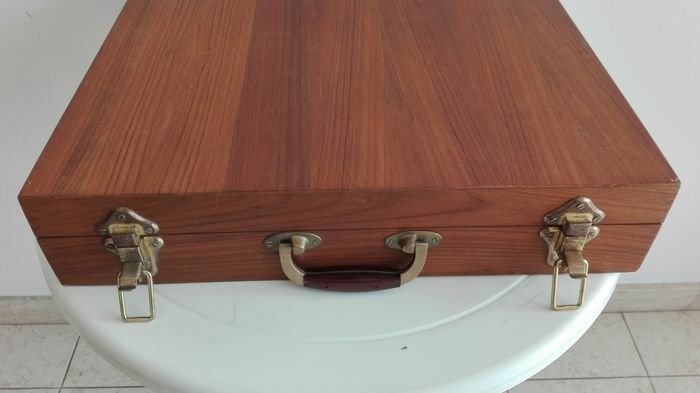 For a total of 144 pieces All in a wooden case, the total weight is 11.500 gr. 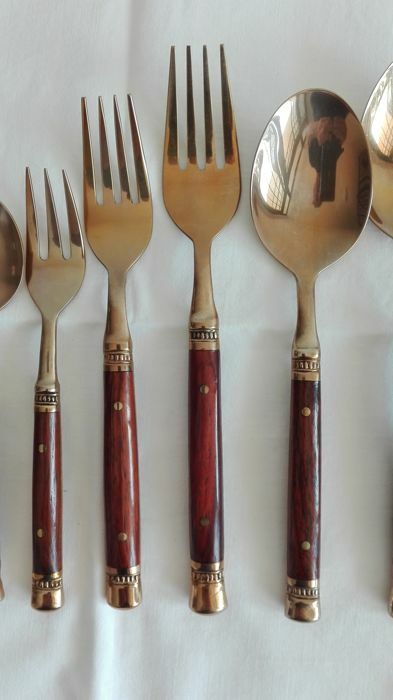 U kunt dit kavel ook ophalen bij de verkoper: Barletta (Barletta-Andria-Trani), Italië.